Contents (Volume 9A). List of Contributors. Preface (E.E. Bittar and N. Bittar). Ultrastructure of Bacteria (S.A. Benson). The Bacterial Outer Membrane and Surface (S.A. Benson). Bacterial Metabolism (H. Bernstein and C. Bernstein). Bacterial Genetics (S.R. Maloy). Regulation of Cytoplasmic pH in Bacteria (D. McLaggan, J. Stephen, and I.R. Booth). Vertebrate Hormones in Bacteria and Microbial Eukaryotes (J. Lenard). Principles of Bacterial Pathogenesis (D.C. Stein). Selected Bacteria of Medical Importance (R.J. Siebeling). Tuberculosis (P. Zwadyk). Mycobacterium Avium-Intracellulare (MAI) (G.A. Huitt and J.L. Cook). Hansen Disease (T.M. Shinnick). Antimicrobial Therapy (C.A. Peloquin). Mechanisms of Resistance to Antibacterial Agents (R.C. Cooksey). Lyme Disease (L.H. Sigal). Syphilis (J. Richens). Brucellosis (S.G. Wright). Fungal Diseases (J.E. Domer). The Rickettsiae (K.E. Hechemy). Chlamydia (L.A. Jackson and J.T. Grayston). Contents (Volume 9B). List of Contributors. Preface (E.E. Bittar and N. Bittar). Viral Membranes (D.A. Steinhauer, D.C. Wiley, and J.J. Skehel). Principles of Tetrovirus Assembly (M.A. Sommerfelt and E. Hunter). Virus-Induces Alterations in Cells (J.C. de la Torre and P. Borrow). Retroviral Vectors (A.M.I. Lever). Herpesviruses (J.B. Clements and S.M. Brown). Respiratory Tract Viruses (C.W. Potter). The Interferons (S. Baron). Genetics and Molecular Biology of AIDS Virus (M. Westby and A.G. Dalgleish). AIDS Epidemiology in the United States (S.P. Buchbinder and N.A. Hessol). The Global Epidemiology of AIDS (G.R. Kinghorn). Diagnostic Virology (T.F. Smith). Antiviral Chemotherapy (M. Keating). From Jenner to Genes - The Nest Generation of Virus Vaccines (F. Brown). Principles of Parasitology and Parasitic Disorders (B. Shiels). The Molecular Epidemiology of Parasites (G. Hide). Chemotherapeutic Agents Used in Tropical Medicine (G.C. Cook). Toxin-Induced Diseases (J.H. Freer). The Pathogenesis of Sepsis (D. Simon, L.J. Goodman, and R.C. Bone). Bacterial Meningitis (C.A. Sable and W.M. Scheld). Fever of Unknown Origin in the General Population and in HIV-Infected Persons (W. Armstrong and P. Kazanjian). Index. There is a need in small group teaching for a readable module that provides a balanced treatment of the four main areas of medical microbiology-bacteriology, mycology, virology and parasistology. It need not be encyclopedic in scope nor didactic, but it should emphasise principles and concepts. Any existing gaps in this type of presentation are, of course, left for the student to fill. Some subject material has been excluded. An example is a chapter on laboratory procedures including PCR for rapid bacterial and viral diagnosis. The discussion of bacterial sexually transmitted diseases does not cover goncoccal infections. This is not a serious matter because the tutor can assign the topic to the students. Moreover, we have reluctantly omitted a separate chapter on anaerobic bacteria. The subject of nosocomial pathogens is touched upon but not in sufficient detail (e.g., control). These bacteria (e.g., S. aureus, E. coli and pseudomonas) are found in hospitals and are resistant to disinfectants and antibiotics. A new but serious problem is the emergence of resistance to antiviral agents. Without question, molecular biology owes more to the study of viruses than bacteria. The fact remains, however, that effective therapy against most viral diseases is not yet available. Perhaps one of the most dramatic examples of this situation is the fight against the AIDS virus and the search for a vaccine. The public health challenge of AIDS remains formidable in spite of the recent encouraging results obtained with protease inhibitor therapy. At the moment at least six receptors for HIV are known to be present in human cells. One of them is the CCR5 receptor in the absence of which cells fail to get infected with the virus. Drugs that can interrupt CCR5 binding sites on the virus envelope are being vigorously sought. Thus, Volume 9B gives a large place to HIV disease. 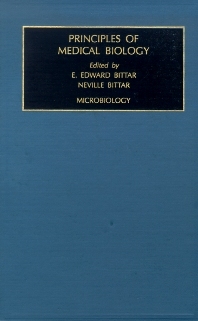 The last group of chapters highlight several features of microbiology which are also of clinical importance and heuristic value. The chapter on fever of unknown origin provides fertile soil for problem based learning.